“Bless that darling old house!” wrote one longtime occupant of Cottage #12, the white two-story cottage that has watched over the North Beach for ninety years. Tucked into the hillside at a slight tilt, Cottage #12 is a familiar feature of the iconic North Beach silhouette. Captured by photographers and artists for nearly a century, the cottage carries stories from The Great Depression, World War II, and a changing California coast. According to the daughter of the original owner, her father began the first story of Cottage #12 in 1929 by digging out part of the hillside by hand. Most of the materials were donated or scrounged in those Depression years. The owner, Mr. Miller, floated telephone poles up from San Diego for part of the foundation. He rescued a marble sink from a Hotel del Coronado renovation, and used bricks from the boiler room of a San Francisco hotel to build a fireplace on the north wall. Windows reclaimed from either a hotel fire or a streetcar were upcycled into a distinctive row, and years later his daughter Jane recalled “giving my mom fits by hanging out those windows.” For a time, the cottage had no electricity and the family cooked their meals on a wood stove. In 1937, a second story with two bedrooms was added, and the cottage settled into its permanent tilt. Back in early days, the family set lobster traps in the kelp beds and explored the ocean on a paddle board with a sail attached. Mr. Miller rescued stranded boats, and the Miller’s son, Ed, lifeguarded at the Cove as a teenager. From 1945 until July 2001, the Kohlmeier-Van Wyck family held the lease to Cottage #12. The family first started visiting Crystal Cove in 1936 and stayed all the way until the Cove transitioned to a state park. Over the years, they reinforced the foundation and added window boxes and the iconic blue shutters. Today Cottage #12 is being carefully moved to a safe location during the infrastructure phase of the North Beach restoration. 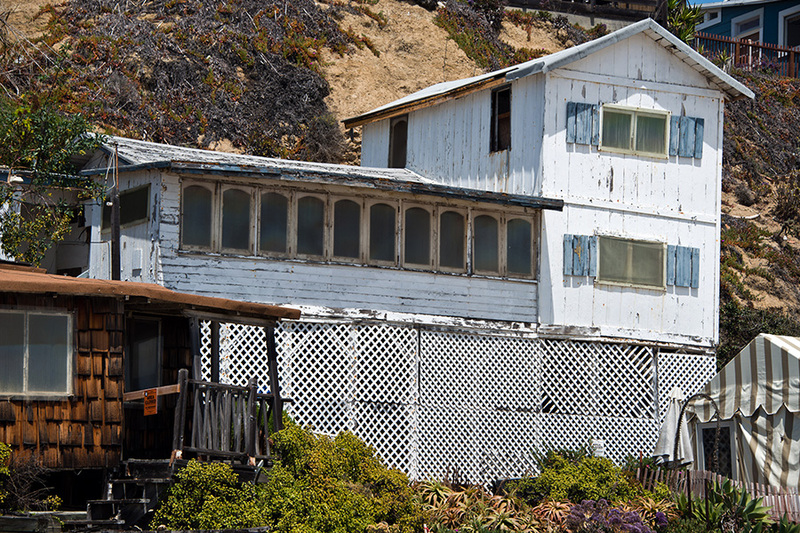 After the infrastructure is complete, “that darling old house” will be restored to its historic spot for its new life as public lodging to support a sustainable Crystal Cove, and opportunities for future generations to experience the ocean in a way that is rare in modern times.